You might want to plan a trip to Santa Fe, New Mexico. I always loved its quintessential Southwest vibe- the beautiful adobe buildings, amazing landscapes, Native American influence, and delicious food. We took our family on a three week Southwest road trip this summer and of course, we stopped in Santa Fe. Now when we were looking for a place to stay, we had three important factors that we considered. 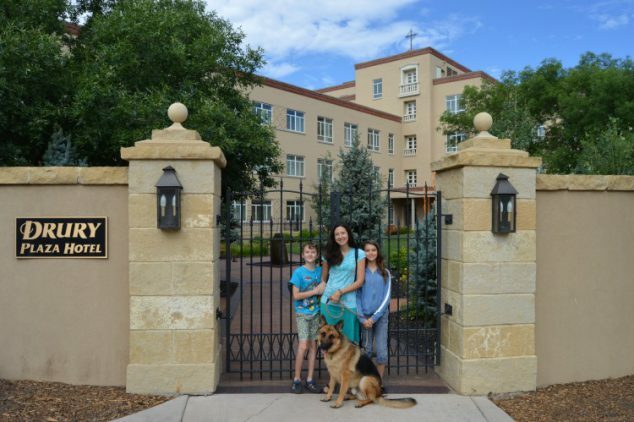 We wanted a hotel in downtown Santa Fe that was pet friendly and family friendly. We found the perfect match in Drury Plaza Hotel Santa Fe. I was provided a media night to facilitate review. All opinions expressed are my own. 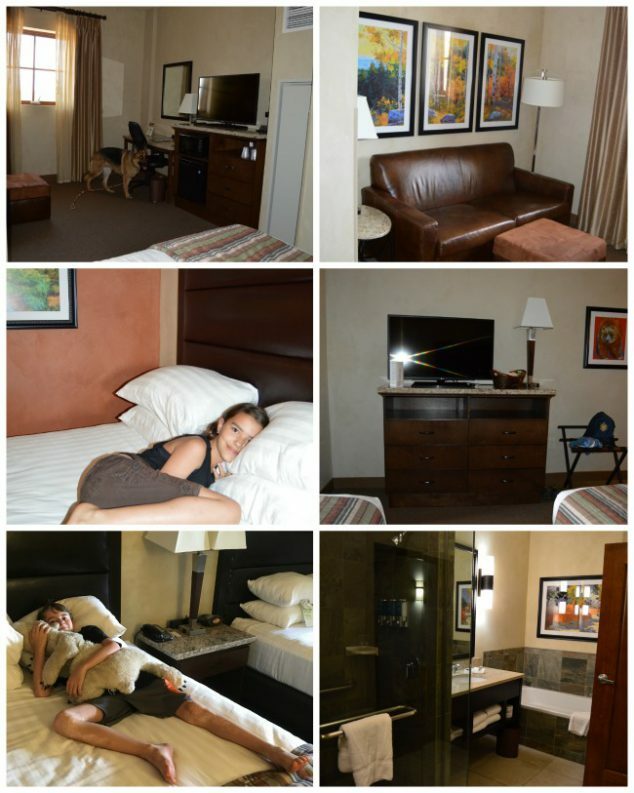 The Drury Plaza Hotel in Santa Fe offers beautiful upscale accommodations in the beautiful heart of downtown Santa Fe. It sits adjacent to St. Francis Cathedral, which was built by 1886. The Drury Hotel Santa Fe is a historic renovation that was done most tastefully in the in the late Territorial Revival style so it fits right in with the surroundings while still offering all the modern conveniences and luxurious touches you could hope for. The hotel is LEED® Certified by the U.S. Green Building Council for energy-efficiency in the design. The hotel is located within walking distance of the Downtown Santa Fe Plaza and the Georgia O’Keeffe Museum, and is a short drive to the Kakawa Chocolate House and Meow Wolf. 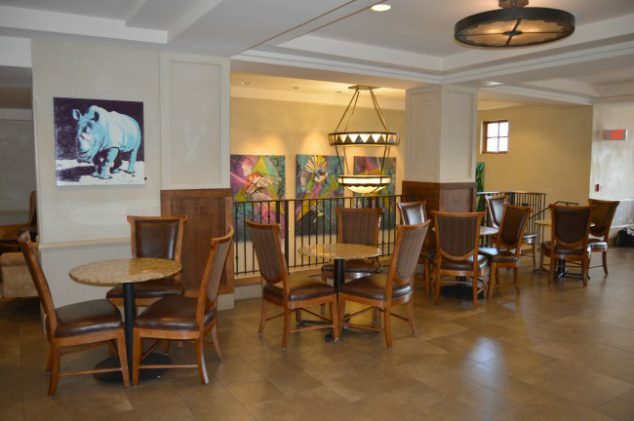 The Palace Avenue Arts curates the artwork for the interior of The Drury Hotel Santa Fe and you are sure to enjoy the variety of mediums displayed on all floors. I felt as though I were walking through a beautiful art gallery where ever I went in the hotel. I really enjoyed it. Pets accepted. Rooms with pets will be charged a daily cleaning fee of $25 per room plus tax. Service animals are welcome free of charge. Limit of two pets per room and may only include dogs and cats. Pets should be leashed or in a pet carrier when traveling to and from guest room, and they cannot be left alone in guest rooms for more than 30 minutes. 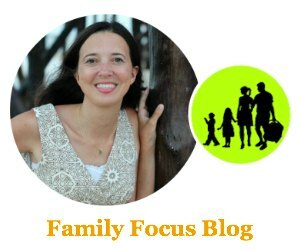 So you don’t have to find a dog sitter! Yay! There is a nice area to walk your dog along Santa Fe River Park on E. Alemeda St. which is just a block away from the hotel. 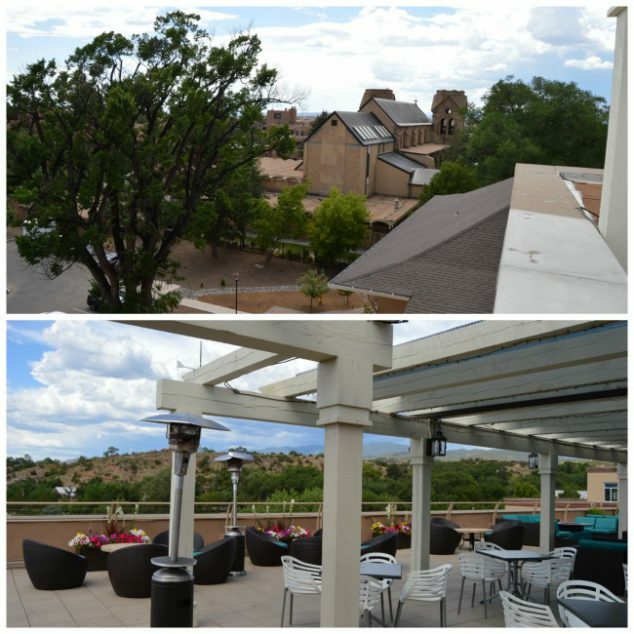 The Drury Plaza Hotel Santa Fe offers unique accommodations like private terraces and premium suites. We stayed in a “deluxe room” which features two queen beds and an additional seating area. Both the sitting area with a comfortable couch and the bed area feature LCD TVs. The sitting area goes a long way toward help a family of four be able to spread out a bit. The bathroom had a very luxurious feel and I loved the soaking tub and separate spacious walk-in shower. Room amenities include a microwave, refrigerator, iron and ironing board, hairdryer, coffee maker, free wifi and in-room safe. 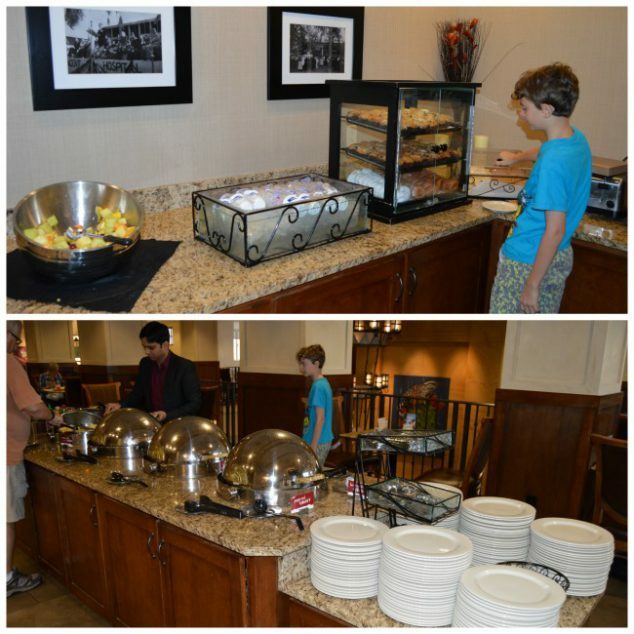 Free hot breakfast is served daily from 6–9:30 a.m. on weekdays and 7–10 a.m. on weekends. You can start the day with hot choices like pancakes, scrambled eggs, sausage, oatmeal, biscuits and gravy or grab yogurt and fresh fruit. The 5:30 Kickback® is really nice. You can grab some free food & cold beverages while you relax with family or mingle with other guests and enjoy the artwork. 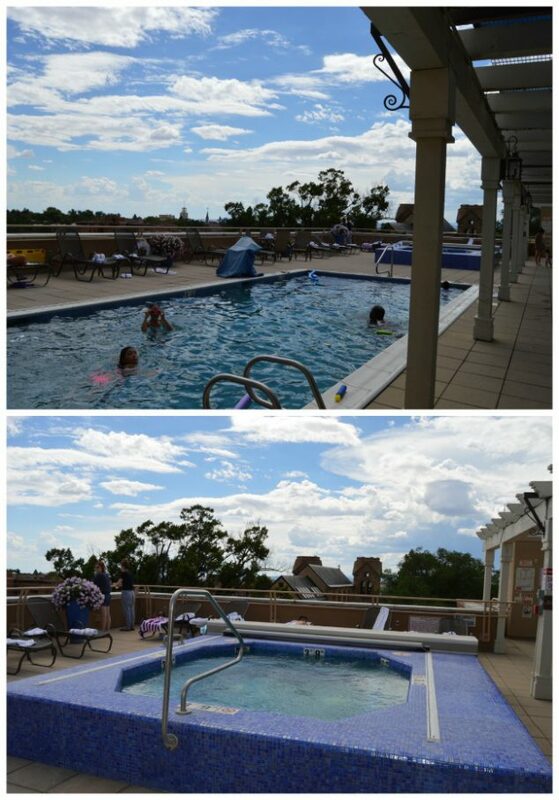 One of my favorite features of the Drury Plaza Hotel Santa Fe was the rooftop pool and hot tub with amazing views. I felt absolutely spoiled up there in that fabulous hot tub while my kids played in the beautiful pool and I got to look out on Santa Fe. We enjoyed our stay at the Drury Plaza Hotel in Santa Fe and if you would like to book your stay or find out more, just visit druryhotels.com. Have you been to Santa Fe? 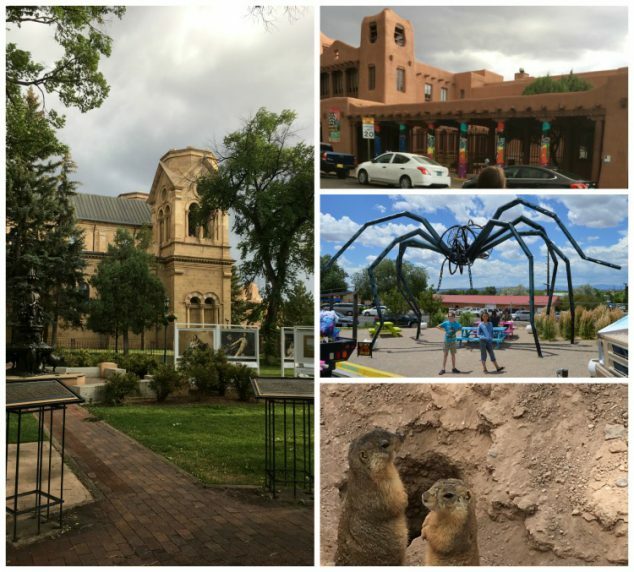 What are your favorite things to do in Santa Fe? Love The Drury Inn. We look for one whenever we travel.